I chose a piece of scrap “value wood” pine board that I bought at Menards for less than a dollar. It was the perfect size (1 inch x 12 inch x 19 inch), so there was no cutting involved. 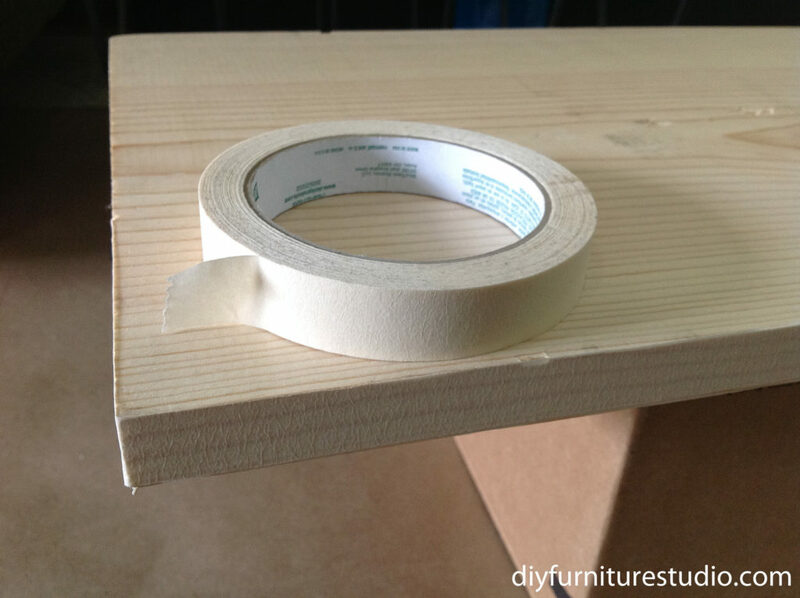 If you buy a full-length board, you can have the store cut it to the length you need. My board was kind of a lackluster piece of wood, with not much distinct color, grain, or other character, so I decided to paint it. Well, I decided to paint the top and bottom of the board, leaving the edges natural wood. 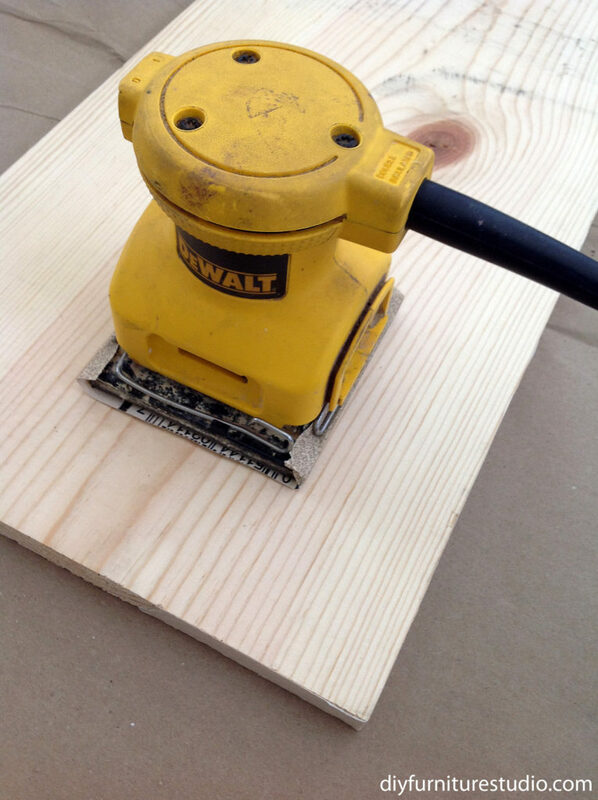 First, I sanded the top and bottom of the board with medium, then fine sandpaper. I sanded the edges with coarse, medium, and fine sandpaper. 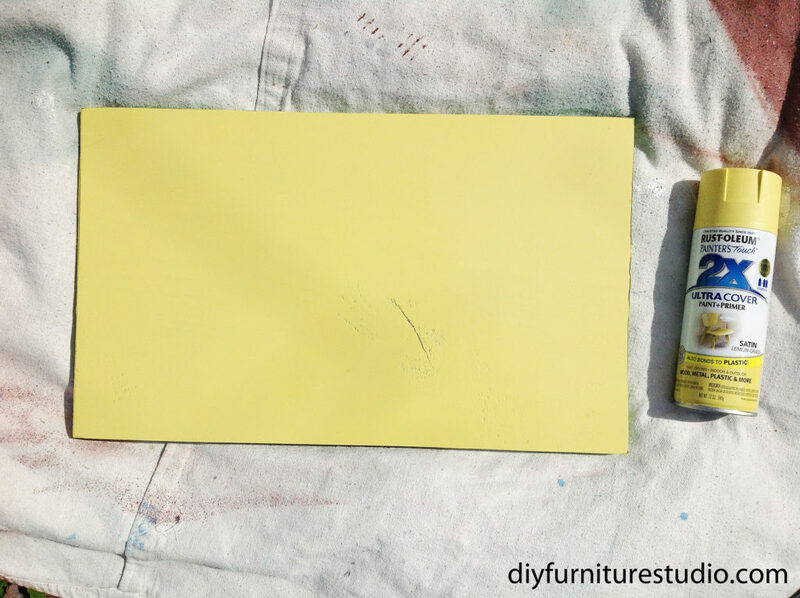 Before painting, I covered the edges of the board with masking tape. Normally, I would use painter’s tape but what I had on hand was too wide. The masking tape worked fine. 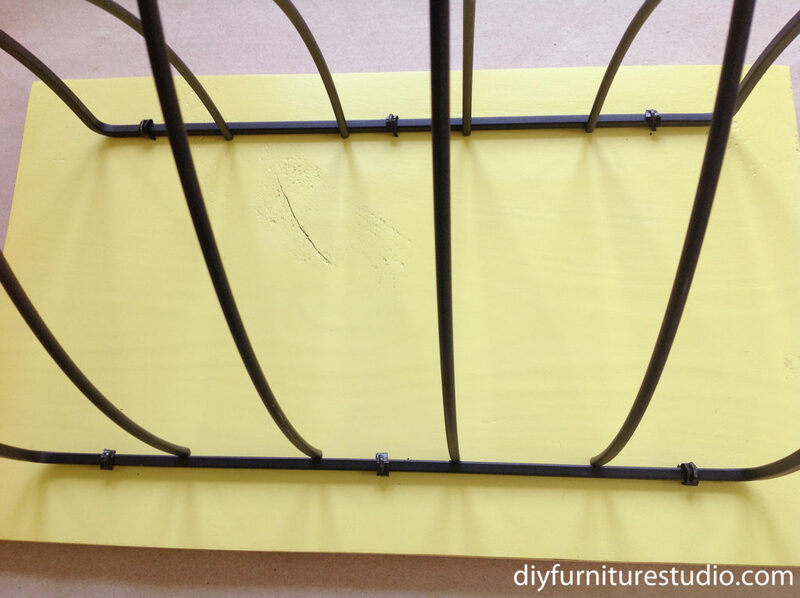 Then I spray painted with Rust-Oleum Ultra Cover, Lemon Grass. 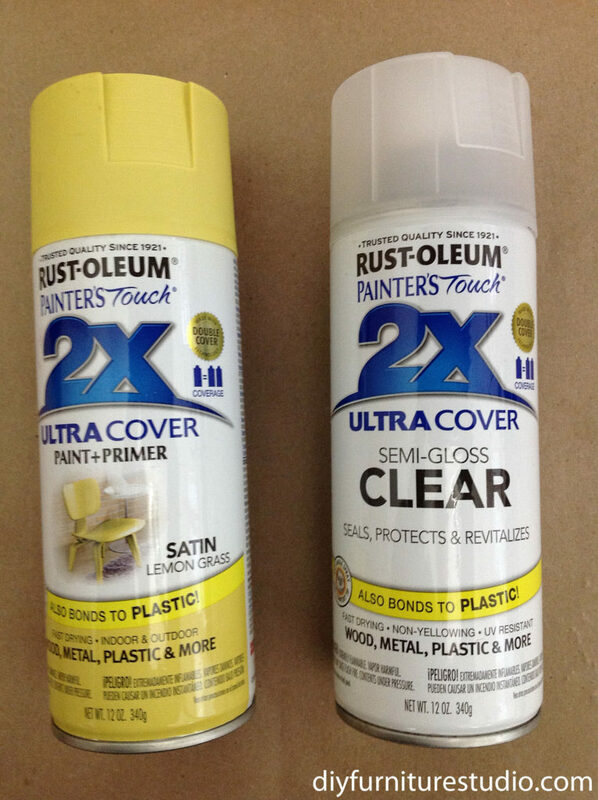 After spray painting, I coated the board with Rust-Oleum Ultra Cover, Clear (semi-gloss) as a protective coat. 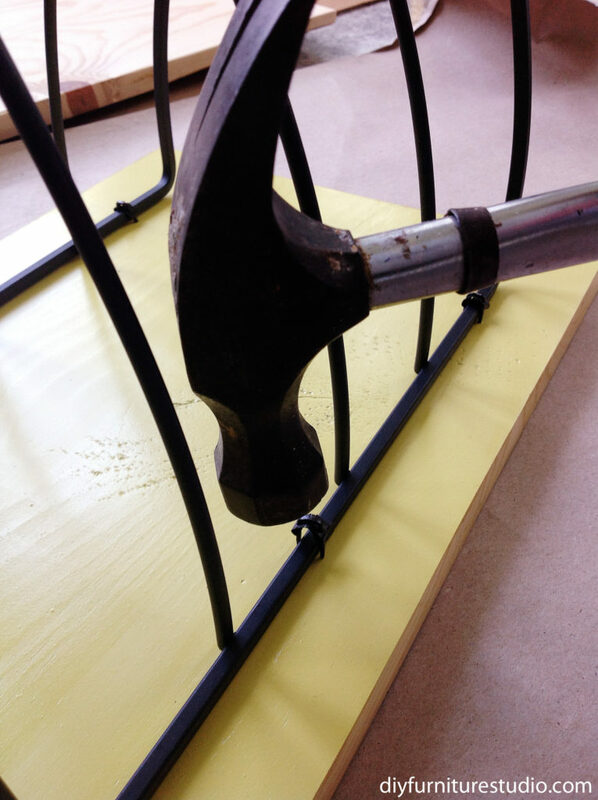 Here is a photo of the two shorter edges. I liked how the grain looked and, as I mentioned, I didn’t paint the edges. I bought my magazine rack at St. Vincent dePaul, a second-hand store near my house. I looked around and found what I think is a similar magazine rack at Bed Bath & Beyond for about $15. The magazine rack for this project can be a style of your choosing, according to your design sensibilities. 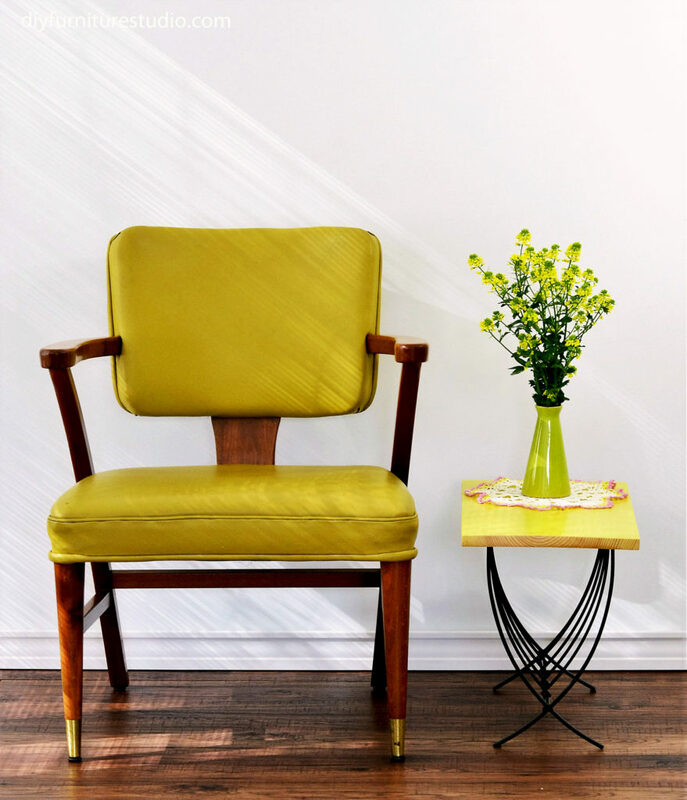 Look for one that is sturdy enough to function as a side table base and is structured so that the top of the magazine rack is flat so that the table top can set on it. 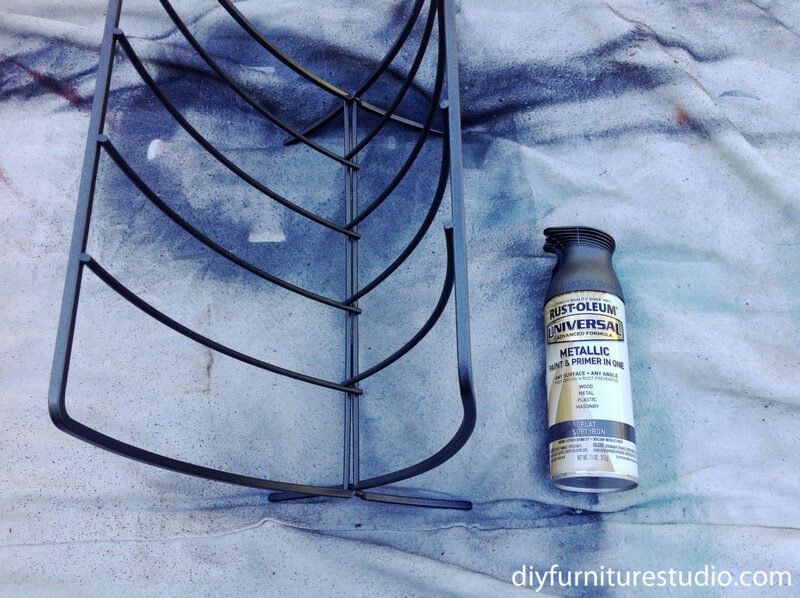 My second-hand magazine rack find needed a paint touch-up. I painted it with Rust-Oleum Universal Metallic spray paint, Flat Soft Iron color. 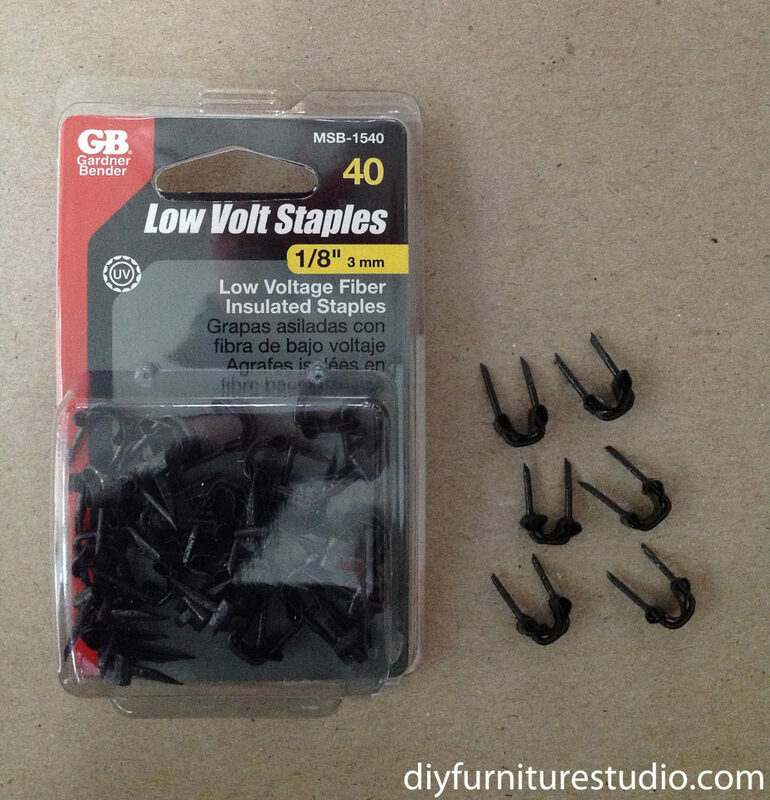 I used low volt staples to attach the table top to the magazine rack. That’s it! 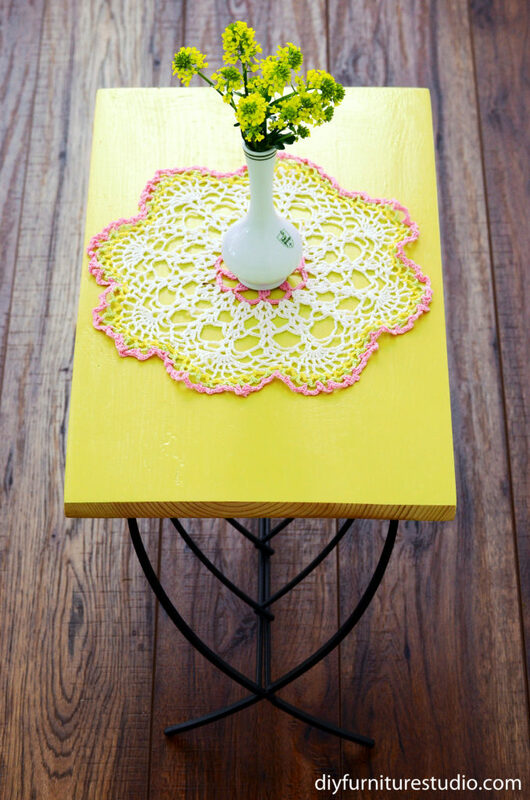 It is an easy side table that you can easily make. 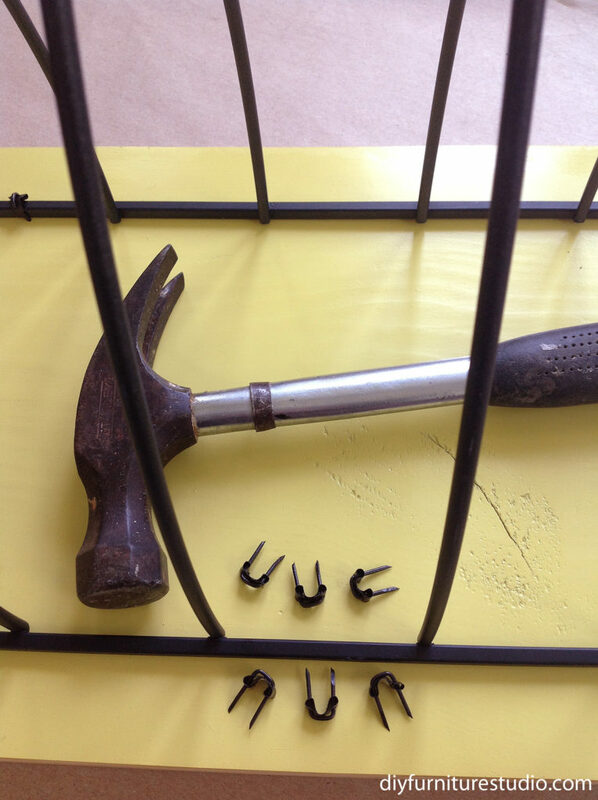 Be sure to stop by again for more DIY furniture and decor tutorials.